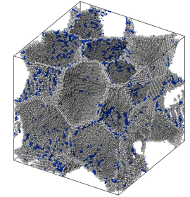 In the pursuit of complete control over morphology in nanoparticle synthesis, knowledge of the thermodynamic equilibrium shapes is a key ingredient. 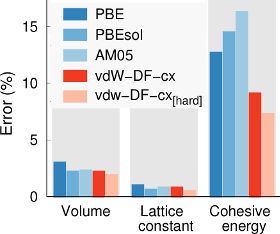 While approaches exist to determine the equilibrium shape in the large size limit (≲10-20 nm) as well as for very small particles (≲2 nm), the experimentally increasingly important intermediate size regime has largely remained elusive. 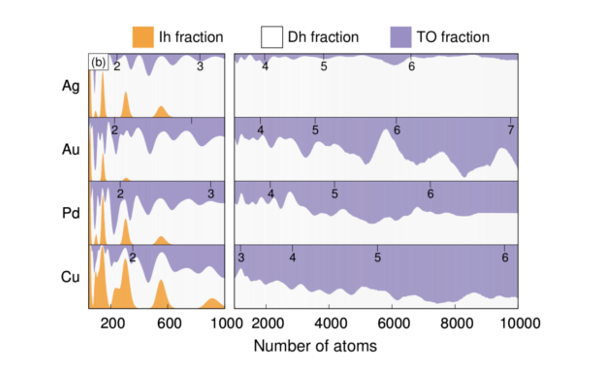 Here, we present an algorithm, based on atomistic simulations in a constrained thermodynamic ensemble, that efficiently predicts equilibrium shapes for any number of atoms in the range from a few tens to many thousands of atoms. 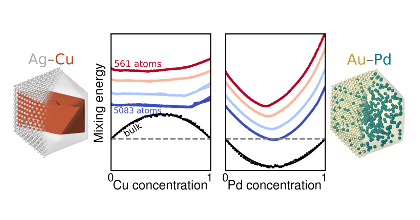 We apply the algorithm to Cu, Ag, Au and Pd particles with diameters between approximately 1 and 7 nm and reveal an energy landscape that is more intricate than previously suggested. The thus obtained particle type distributions demonstrate that the transition from icosahedral particles to decahedral and further into truncated octahedral particles occurs only very gradually, which has implications for the interpretation of experimental data. The approach presented here is extensible to alloys and can in principle also be adapted to represent different chemical environments.